Many have stated that serving on a study section can be an important step developing in an academic career. I did not serve until I was relatively well established, but I do vividly recall that the opportunity helped me understand the process better and improved my ability to craft better proposals. Moreover, it increased my faith that the peer review system was thoughtful and fair although certainly not perfect. In 2011, NIH announced a new program to allow early career scientists to serve on study sections. This program has two primary objectives. First, it allows early career investigators to observe and understand the review process directly with the goal of helping them enhance their abilities to write more competitive proposals. Second, it helps NIH review staff identify and screen potential reviewers for additional service. To be eligible for the Early Career Reviewer Program, a individual must not have had substantial NIH review experience and have at least 2 years experience as an independent investigator with 2 recent publications as a senior author. Following a recent discussion on Twitter about how many individuals who had applied to the program had actually served on a study section, I submitted a FOIA request for data regarding the program. I recently received the response. While the data are not comprehensive, they do allow an assessment of some of the key parameters. 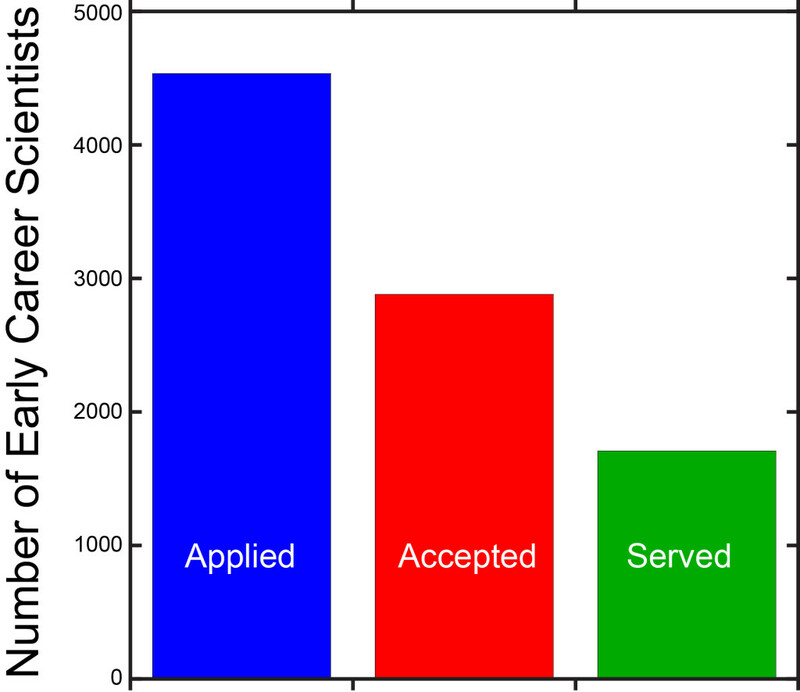 (1) The acceptance rate into the program appears to be around 64%. Specifically, from the period from June 2014 through December 2015, NIH received 1863 applications for the program and accepted 1189 individuals. The total number of applicants to date appears to be 4,534. (2) The number of individuals who have actually served on a study section in this capacity is 1706 from the beginning of fiscal year 2012 when the program began through the first round of fiscal year 2016. (3) The percentage of women accepted into the program is approximately 45% and a similar percentage of women have actually served. (4) The pool of scientists accepted into the program is approximately 6% African American, 7% Hispanic, and 27% Asian. (5) Approximately 13% of the individuals accepted into the program are from institutions eligible to apply for R15 (AREA) grants. I do not know if NIH is planning an evaluation of this program. However, such an evaluation would seem to be straightforward and would help codify the value of study section experience to scientists developing their career and could also address the question of how well early career scientists perform compared to more established scientists in the review process. What are your thoughts?